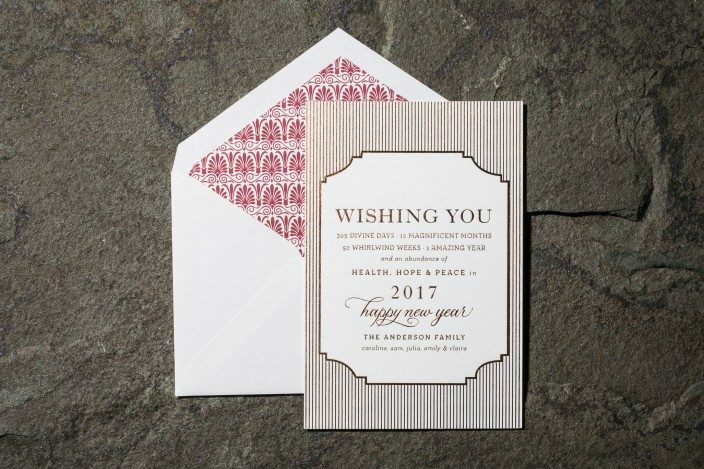 design highlights: foil stamped holiday card in copper foil. liner: hennessey pattern in cardinal. 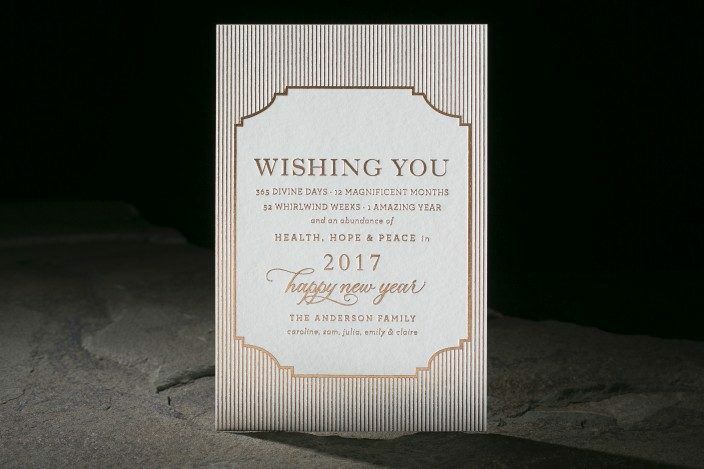 design highlights: gold matte foil stamping paired with digital printing. plaza — an exclusive smock calligraphy font. 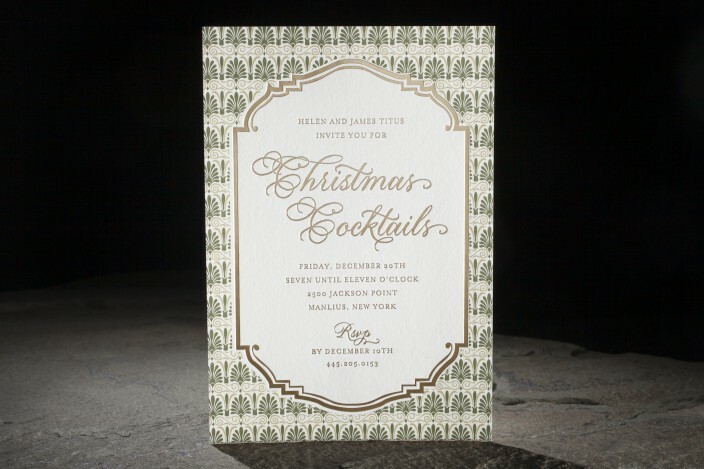 vintage christmas elegance.